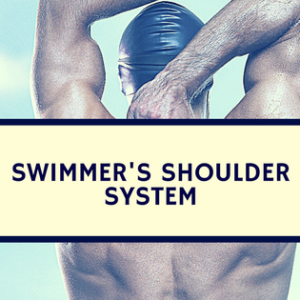 The excessive spinal curvature is common in the sport of swimming. 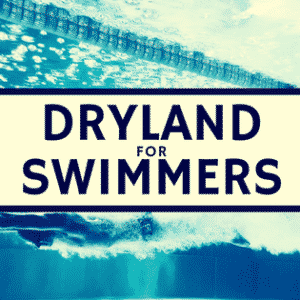 This frequency is difficult to interpret as many health care professionals have recommended swimming as a sport for rehabilitation, yet many others have linked swimming as a cause of this excess curvature. Spinal curvature in the adolescent spine typically involves curves in the sagittal plane (kyphosis and lordosis) or transverse plane (rotation), often labeled as scoliosis. Many swimmers demonstrate excessive kyphosis, but this is hypothesized a resultant of excessive swimming, but genetic factors also play a role. As spinal sagittal curves are believed to be a result of excessive mechanical load, this paper analyzes the result of athletic training on the adolescent spine. This is important as hyperkyphosis increases one risk for back pain. The authors looked to see if long-term exposure to athletic training is associated with the development of hyperkyphosis in the immature spine. The studied looked at 2270 (407 girls and 1863 boys) between 8 – 18 years of age. These kids were selected from annual summer athletic training sports camps at the University of Michigan or attended local schools. Anthropometric and flexibility was assessed for each child, as well as spinal curvature. 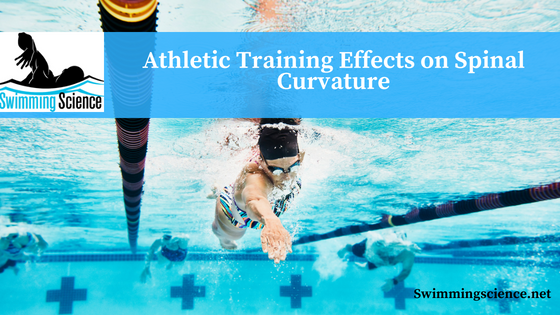 Children participating in swimming and gymnastics spent the most time training and the study found thoracic and lumbar spine angles of curvature increased significantly with the number of training hours. The increase in curvature was proportional to the training time. The spinal curvature in the control group was lower than all the sports groups. The number of hours of weight training was not associated with the increased curvature of the spine. The amount of training correlates with the amount of athletic training. Of the adolescents’ study, swimming and gymnastics required the highest volume of athletic training time, but swimming had the fourth highest average of spinal curvature. This study suggests athletic training correlates with high spinal curvature, specifically hyperkyphosis, but a lack of physical exercise results in hyperkyphosis. 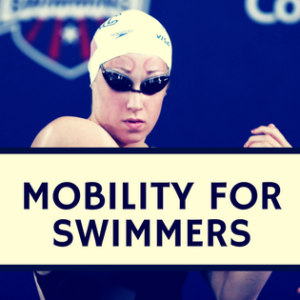 Ensure proper prevention and muscle balance programs are performed to combat high volume training in swimming and all sports. Wojtys EM, Ashton-Miller JA, Huston LJ, Moga PJ. The association between athletic training time and the sagittal curvature of the immature spine. Am J Sports Med. 2000 Jul-Aug;28(4):490-8.